The Mystery in Alligator Alley is set at the National Wildlife Refuge on the Georgia/South Carolina border, just outside Savannah. 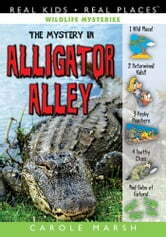 The author, Carole Marsh and her husband, actually live nearby and have seen "gators stacked like cordwood!" 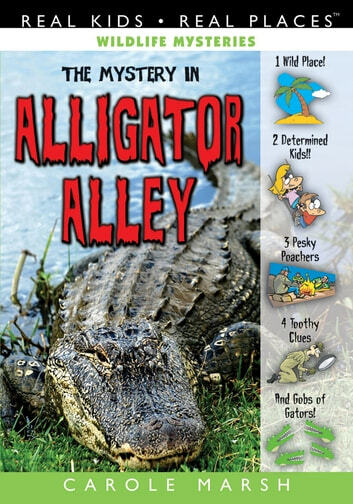 The mystery involves possible alligator poaching and the characters learn about habitats, conservation, endangered species, and other wildlife issues, while enjoying a rip-roaring romp through some incredible lowcountry locales. This mystery is geared for boys and girls ages 7-14 and features bother and sister, Avery and Evan, who help their mystery book writer grandmother solve wildlife related mysteries. The Wildlife Mystery series has a strong focus on STEM (Science, Technology, Engineering, and Math).